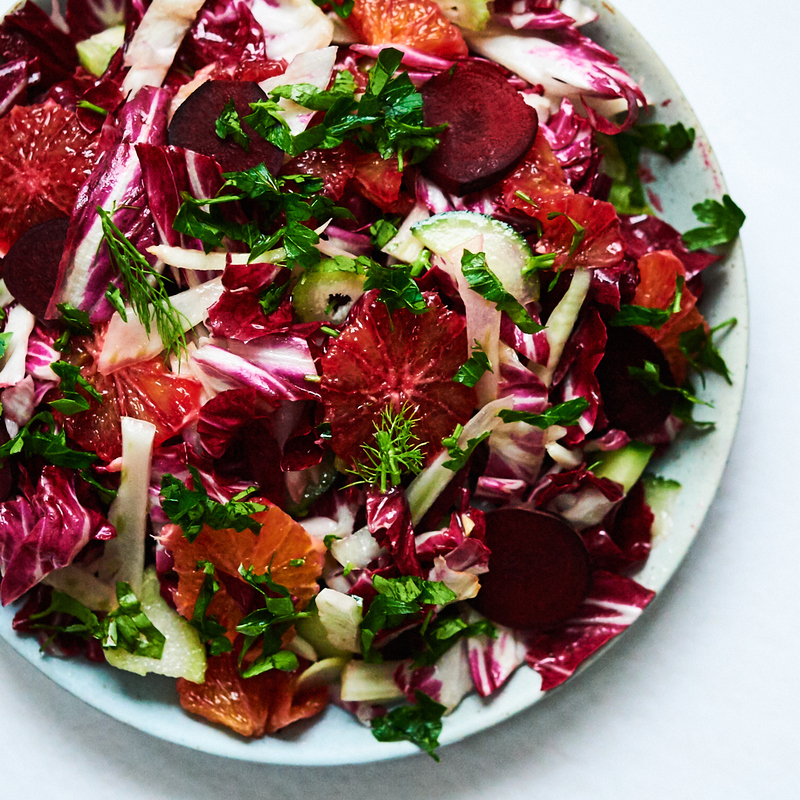 We eat a lot of cooked veggies in the winter, but sometimes there’s nothing like a refreshing salad in the winter, especially with the sweet and sour bite of blood oranges. This salad is very hearty and holds up well in the fridge, so you can prep a large batch in advance and keep it for a few days. 1. Slice all of the vegetables in thin pieces. If you have a mandolin or food processor with slice attachment, you can slice the fennel easily with either of those. 2. Toss together in a bowl. 3. Make the dressing by whisking the ingredients together. 4. Toss the vegetables with the dressing. Add sea salt and pepper as needed to taste.